“Immigrant communities have waited too long for House Republicans to catch up with the American public’s support for comprehensive immigration reform,” the letter states. Senate Democrats claiming they have the “American public’s support” right now is like Marie Antoinette claiming how much the French masses love her. If it wasn’t for Michelle Obama outlawing everything that tastes good (more Obama unilateral power), we bet Senator Mumbles would have already sent out a press release stating Coloradans can eat cake, as well. 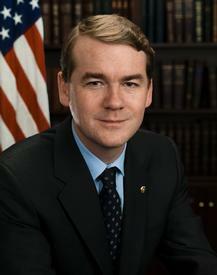 With Obama’s popularity still in the cellar here in Colorado, Bennet’s stated desire for Obama to have more power, is certainly putting Bennet’s neck on the line… politically speaking of course.